Partners Albania, in continuation of its initiatives for the promotion and development of philanthropy in Albania, aiming to increase public support to vulnerable groups, organized on December 4th the first LIVE crowd-funding event “Giving Circle”. The Giving Circle event already organized in over 16 countries brings together individuals from different fields, offering their expertise, time and financial resources to support initiatives, which bring about a positive and sustainable transformation for specific individuals and communities targeted by the initiatives. Giving Circle 2018 organized for the first time in Albania, brought together representatives from the business sector, the donor community, civil society, media, art, etc. who offered financial and material support for three initiatives that will transform the life and bring sustainable social change for the vulnerable communities. 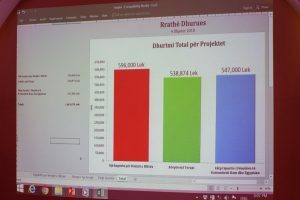 The total amount raised of 1,681,874 ALL was almost the double of the targeted amount, confirming once again the civic awareness toward social causes and groups in need. • A kindergarten for the children of Blliçe – Peshkopi, an initiative of Vizion OJF. • Adopt a therapy! – Tirana, an initiative of the Down Syndrome Albania Foundation. • Education and integration of Roma and Egyptian children through sport – Shkodra, an initiative of the Association for the Protection of Egyptian Community Rights. Thanks to the sensitivity and high media attention this event received, the initiatives continue to get financial support from individuals who could not be part of it. Visit here a photo gallery from this event. 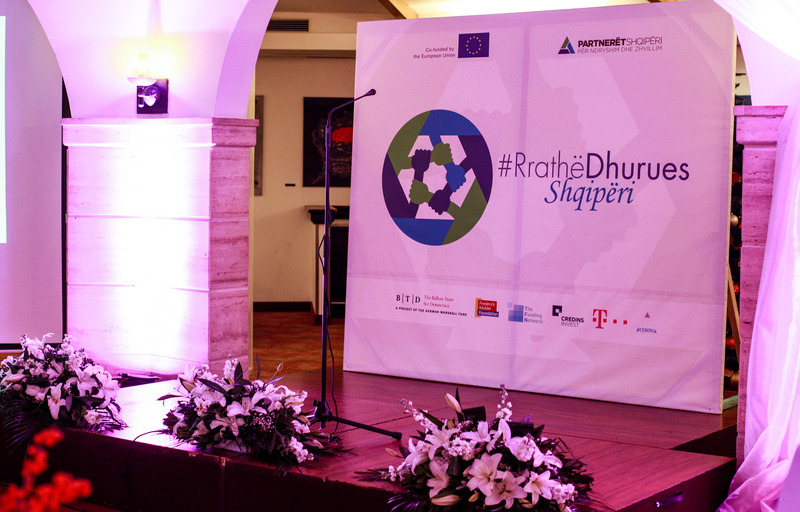 The Giving Circle Albania 2018 event was supported by the European Union through the European Union Delegation in Albania as part of the activities of the project “EMBRACE – Entrepreneurship Models Building Relations and Creative Economy “, Balkan Trust for Democracy – a project of the German Marshall Fund of the United States, Frederick Mulder Foundation, The Funding Network, Credins Invest, Telekom Albania, and Iceberg Communications.